Terre Blanche is just my favorite French course of all time. When you enter the property you can just feel it's going to be a great round of golf. The course layout is full of ups and downs, with narrow fairways and just overall it will put your game to the test. The greens are mostly wide with many slopes, and most of the time the greens are immaculate. Practice facility is great, just a bit far from everything but awesome. The caddy master/pro shop and restaurant are amazing, a bit pricy for food but I think you'll understand why. Hotel and spa are exquisite definitely a must! 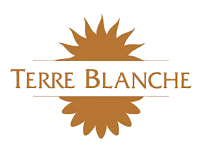 The Terre Blanche Resort is amazing and offers everything a golfer asks for. The only problem is that you have longer walks from the parking lot to the clubhouse, from the clubhouse to the first tee and to the range so you definitely need a cart to get around. However, the golf course is fantastic. It has a good mix of narrow tee shots and some challenging dog legs. The greens are big but very difficult. Due to the fact that the greens have a lot of levels you need to hit them on the right side because otherwise you have some almost impossible putts. An immaculately presented golf course designed by Dave Thomas. It's not the longest at around 6400 off the tips but there are lots of undulations and hills to contend with so holes can play longer or slightly shorter than they appear. Good distance control here is a premium as lots of water hazard and bunkers lurk close to many greens. The greens are very smooth and the grass is cut incredibly. Terre Blanche is an absolute beautiful facility. The Riou course is a rather hilly walk, but an overall good challenge. There is some holes that demands good shots of the tee and course management is key. Traumhaftes Golfresort mit super anspruchsvollem Platz. Hier wird man gefordert. Golfgenuss pur.